Home Care Helps Seniors Maintain Independence - ProHealth Partners, Inc.
We all want to maintain our independence as long as possible. Experiencing an injury, recovering from surgery or simply learning to live with an aging body doesn’t change that. We still want to live in our own homes, take care of ourselves and generally live how we choose. Feeling independent not only helps us feel good about ourselves, it can reduce stress and improve the recovery process. 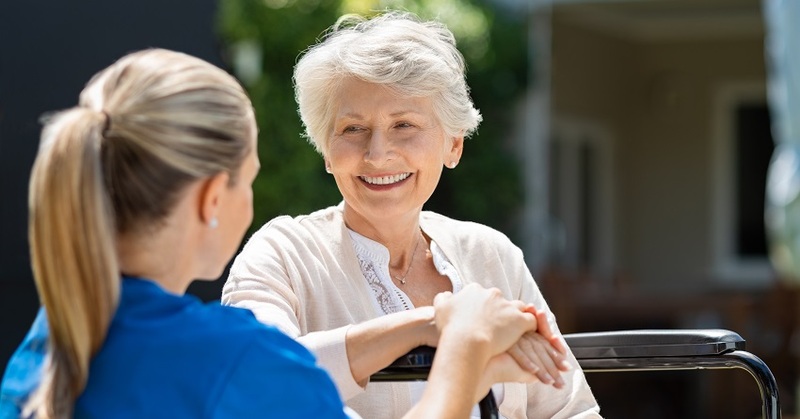 If injury, surgery or the aging process means you need for extra assistance, home health care is a viable option to get the help you need and maintain your independence. ProHealth Partners provides in-home physicians, therapists and mobile diagnostics services to those in Ohio and southeast Michigan who need medical attention, but don’t need the full-time attention and services offered in a skilled nursing facility. Meeting nutritional needs: Getting a proper diet is critical in maintaining independence in an older adult. A better diet helps boost a senior’s cognitive processes, energy levels, immune system, and manage chronic conditions. A lack of nutrition can result in sickness and lack of mobility – i.e. independence. Our trained staff know what to look for in a senior’s diet and can make recommendations. Medication assistance: Keeping track of medications can be confusing. Having a medical professional in the home to monitor prescription compliance provides peace of mind to the whole family. Reduce hazards in the home: In-home care providers can offer suggestions on ways to de-clutter the home and make it safer for an aging or injured body and allowing for more mobility. Lower cost: A stay in an extended care or skilled nursing facility costs much more than a regular in-home visit from a health care professional. For more information on ProHealth’s in-home health care services, call 877-511-9739 or contact us online.